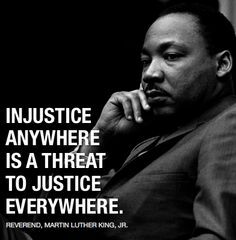 Spoken by Martin Luther King and repeated often, do the words “the fierce urgency of now” no longer stir our souls? Did they ever? And market-based education reforms became the weapon of choice. But the role of political economist James M. Buchanan is only now being closely scrutinized. Buchanan’s theories explain much about the divisiveness destroying our schools and our nation. 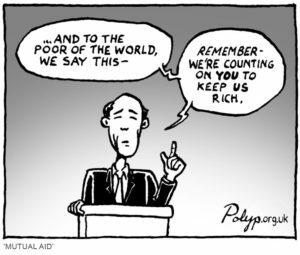 Public interest is defined as “the welfare or well-being of the general public.” It is a national goal clearly stated in the Constitution’s preamble — “in Order to … promote the general Welfare…”. Buchanan wrote that for public consumption. It’s a distortion of history, which is likely being perpetuated through institutions such as George Mason University in Virginia. * And in misrepresenting the American Founding Principles, Buchanan opened himself up to being viewed as a major manipulator in our historic fight against corporate control. 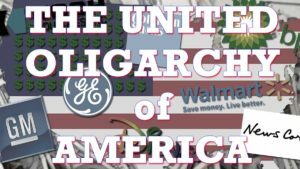 It appears the expressed sentiment of that last sentence was taken to imply that corporations are the ones in need of constitutional protection from the masses. But Buchanan obviously took Madison’s words out of their historic time and context. Regardless, Buchanan did communicate to the public an association of his “public choice theory” with our nation’s founding principles. 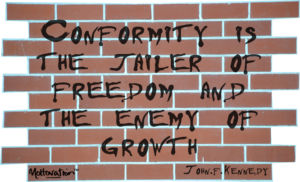 ****This quote is from the blog of libertarian economist, Daniel J. “Dan” Mitchell who believes Buchanan’s ideas are being misrepresented. Same Old Fight: Big vs. 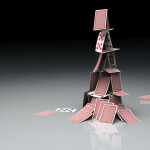 Smaller Government? Not Quite! Think about the following in relationship to the privatization of public education through “school choice” models. The allure of choice is deadly. 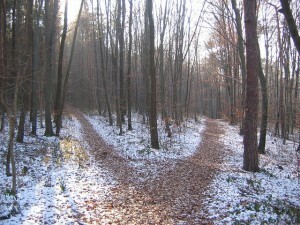 With our political choices being analyzed under market-based economic theory, it is assumed people make choices based on their own self-interests — first and foremost. 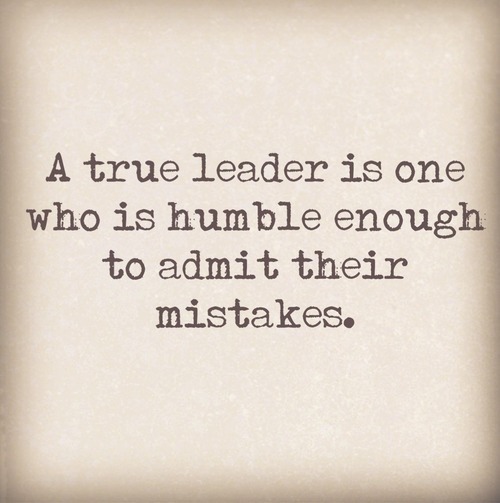 We shouldn’t deny that as a truism. But when market forces through privatization of public services or goods come into play, competition for a limited supply will result in winners and losers. 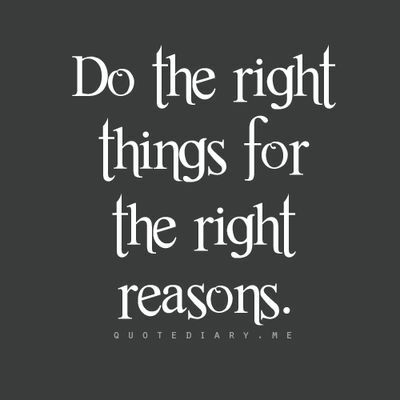 Always does. We risk having children lose, or never develop, the safe and secure sense of belonging that defines “community values.” When all of us are seen as “self-interested players in the marketplace,” **** we are vulnerable to division. Competition for public services runs the high risk of destroying community values, but, that part of the equation didn’t seem to garner much consideration. Instead, Buchanan saw the need to bring his vision to life by NOT focusing on who rules because who the public chooses doesn’t matter since elected officials don’t act in the public interest anyway. Therefore, this brilliant political economist focused on the rules themselves. Buchanan found many willing partners. What Madison saw as improbable under our constitutional republic — “a succession of artful and ambitious rulers” changing the balance of power — is exactly what is happening. Our federal government IS under the control of special interests. Many state governments are no different because too many of our representatives ARE no longer serving in the public interest. This scenario should sound familiar to Baby Boomers. It was a shared American experience on many college campuses during the protests of the 60’s and 70’s. Martial law was declared in many places, which Buchanan supported (at Berkley***). 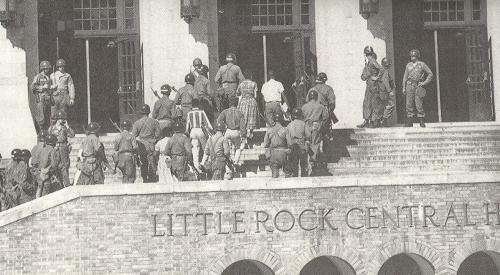 And not to be forgotten were the killing of students by the National Guard. That’s about the time Buchanan’s vision of “unanimous consent of the people” *** seemed to change. Think about the urgency demonstrated during the confirmations of both Education Secretary Betsy DeVos and Supreme Court Justice Brett Kavanaugh. 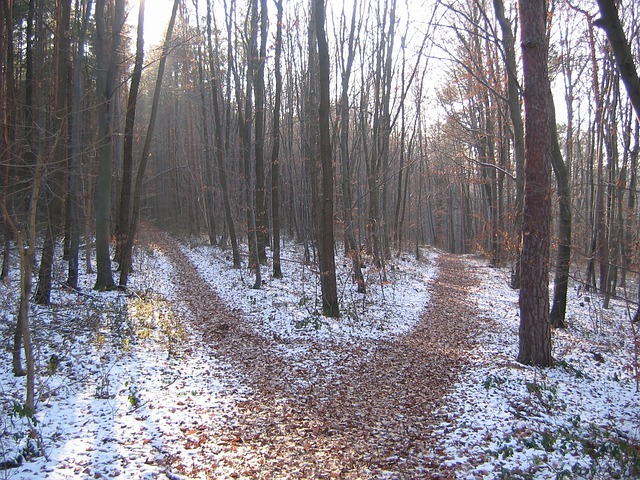 Ask yourself, why the fierce urgency? Is that enough? Absolutely not. Perhaps the title “WHO influenced the Democratic Party into becoming an enemy of public education?” would more accurately represent the subject here. But the reason for the title came from an article in my “To Read” file. “How to Destroy a Public-School System,” a 2014 article, describes a scenario we should all be familiar with by now. 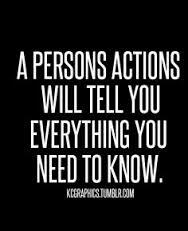 Perhaps that is why I had set it aside, thinking I knew it all. I don’t; we don’t. 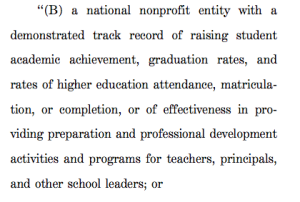 “the designation of neighborhood schools as ‘failing’ under the federal No Child Left Behind Act (NCLB)…” followed by the “turnaround” or take-over by charter schools. But do we know the depth of the intentional under-funding of public schools in order to create a market for private-sector education reforms? 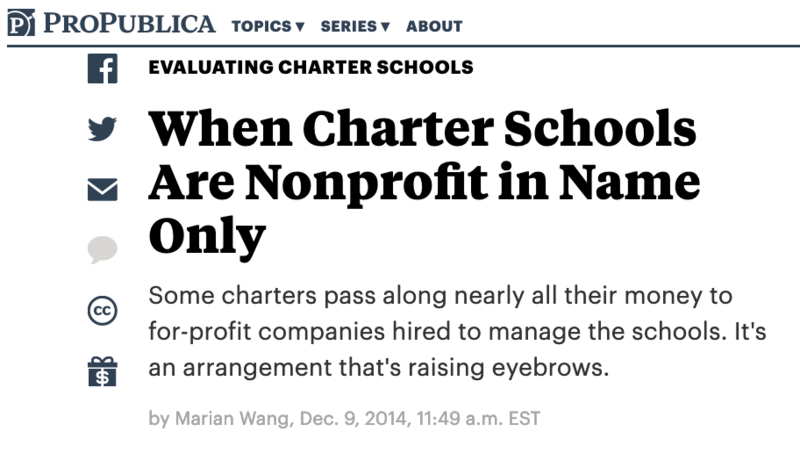 Private sector — for-profit (like Edison) charter schools or non-profit (like Mastery) charters — it doesn’t matter. 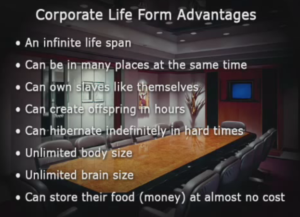 They are private entities. And privatization is crushing the chance for more effective public-sector education reform to be utilized. The private-sector reforms are politically and financially driven. 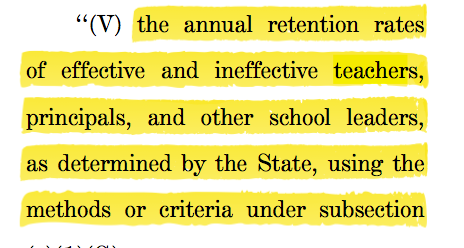 The public has little input or recourse when those reforms are harmful to our schools. So here’s how it went in Philadelphia as described in 2014. “rigged to benefit privately managed companies” including a loophole that provided charters with an extra “double-dip” pension payment. How did that largest privatization experiment of its time turn out? “We just don’t have enough of them yet,” said Edison CEO Chris Whittle, according to PBS’s Frontline. 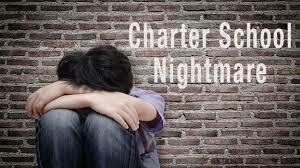 The problem is not enough charters? You think. The problem was that Philadelphia was under Republican rule? It was, but remember there has been plenty of bipartisan agreement. The Democratic Party approved of all of this. 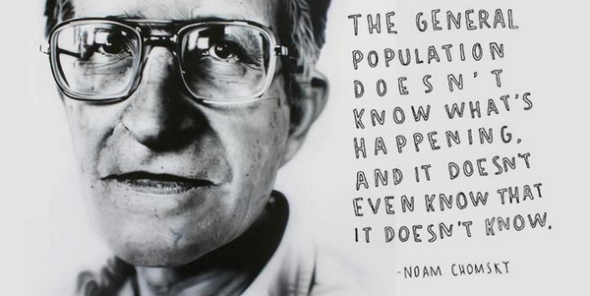 The problem is THEY (and it’s a big “they”) don’t work for US. Enough Republicans and Democrats alike have fallen for the idea that private-sector advocates for education reform have all of our children’s best interests at heart. 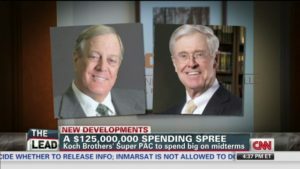 Look, many in the country see and understand the connection between conservative organizations like ALEC (American Legislative Exchange Council) and Republican privatization policies. Many object. But there is another side. Look again. It’s time for the country to see and understand the New Democrats and their “progressive” “neoliberal” agenda that we know to be a “bipartisan” agreement on education reform. 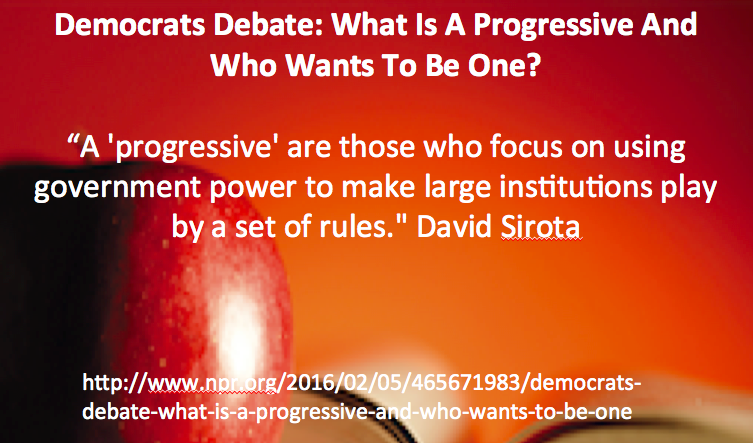 It is now the Democratic Party reform philosophy based on and driven by advocates for private-sector reforms. In other parts of the world, some clearly see what has happened. Those fighting against private-sector education reform are Battling for the Soul of Education. But is this author right in that by 2008 the private sector reform movement had been taken up by the Democrats? “Fully engulfed” the Democratic Party by 2008 might be a better way to state it. But much earlier than that key “Democrats” not only took up this private-sector reform strategy, they helped create and perpetuate it. 1989 -President George H.W. Bush, U.S. Secretary of Education Lauro F. Cavazos, center, Iowa Gov. Terry Branstad, right, and Arkansas Gov. 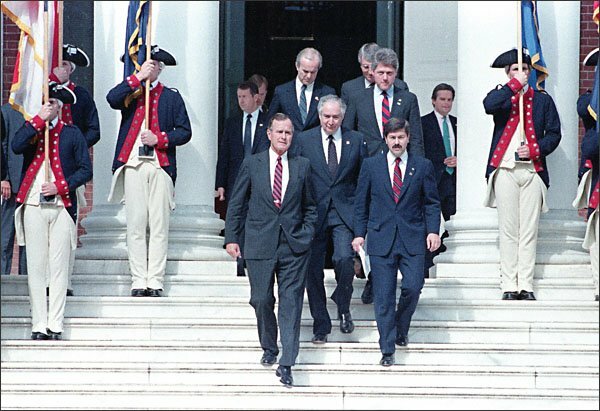 Bill Clinton, behind right, arrive for ceremonies concluding Mr. Bush’s 1989 education summit with state governors in Charlottesville, Va.
As president, Bill Clinton essentially used an “education and the economy” theme to drive education policy. 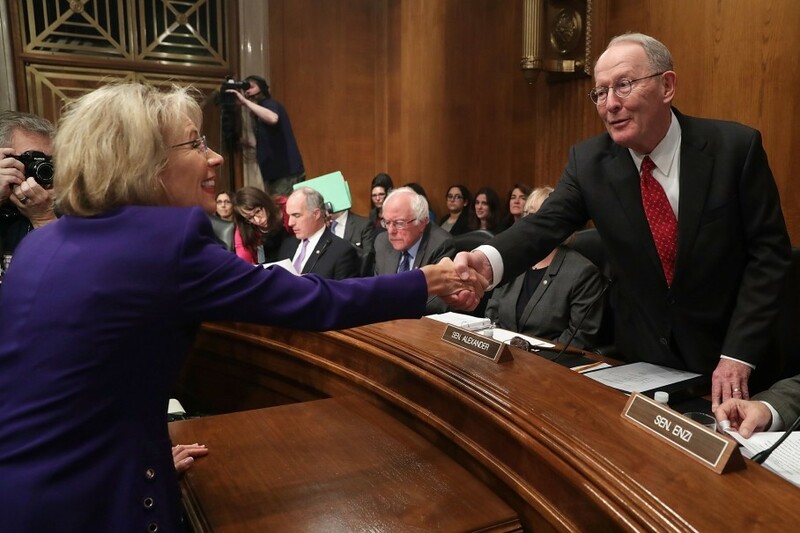 His reauthorization of the Elementary and Secondary Education Act (ESEA/IASA/ Improving America’s Schools Act) brought Standards-Based education and school choice (charters) into federal law. Education costs have risen dramatically ever since. But to quickly march this story forward, I’ve taken some facts from Ken Derstine of Defend Public Education! I encourage readers to explore the wealth of information he has provided on his website. 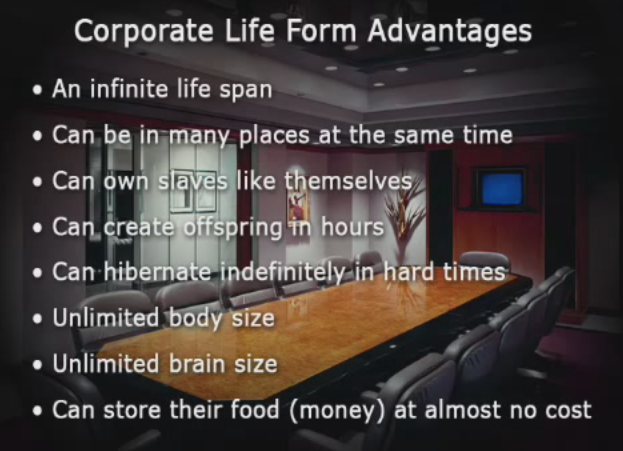 Look into the power and control created by the corporate and political elites. Here’s a glimpse. 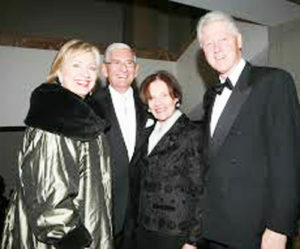 Billionaire Democrat and philanthropic venture capitalist, Eli Broad is invited by President Bill Clinton to spend the night at the White House. 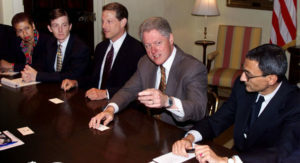 [What do these men have in common?] They work under the “guise of a progressive agenda” while advancing “a neoliberal agenda.” The agenda continuing to be advanced today. “Playing a central role in promoting Clinton’s neoliberal agenda was the Democratic Leadership Council.” … It became the think tank for many of the rightwing neoliberal policies promoted by Clinton. …A key player shepherding the neoliberal agenda during the Clinton Presidency and after was Bruce Reed who became head of the Democratic Leadership Council in 2001. All their plans are on display. They have to be. They are using our government to put their agenda in place. Bruce Reed is the common education reform denominator between the Clinton and Obama administrations. Teaming up with Eli Broad may just be the creation of the perfect storm that finally destroys the institution of “public” education. Lauren Cioffi/KPCC | Eli Broad, left, has appointed Bruce Reed, former CEO of the influential Democratic Leadership Council, to lead his foundation. Have the laws helped teachers do a better job? This man’s organization wrote the book on school closures — really! Literally! 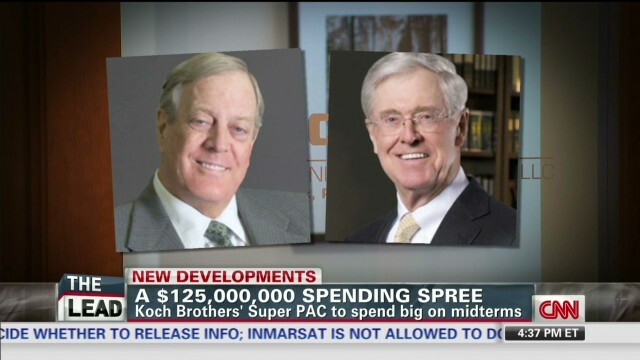 And his group directed the spending of American Recovery and Reinvestment Act dollars. We invested in their agenda while our schools struggled!!!! Nice, huh? They titled it Smart Options. They are smart. 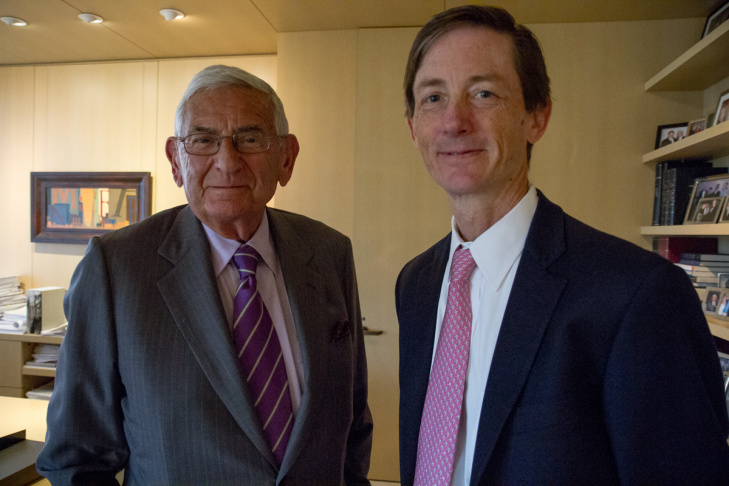 That’s what they wrote in ELI BROAD APPOINTS BRUCE REED AS HEAD OF BROAD FOUNDATION EDUCATION EFFORT. And the story doesn’t end there. There’s more to come. 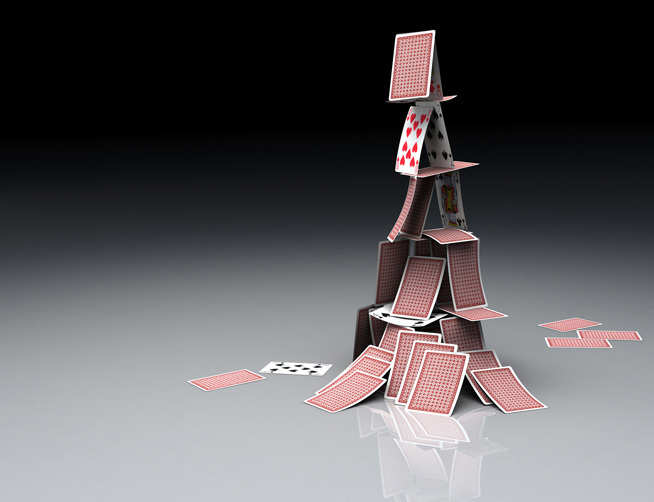 The “how” is a familiar story of money and political corruption. 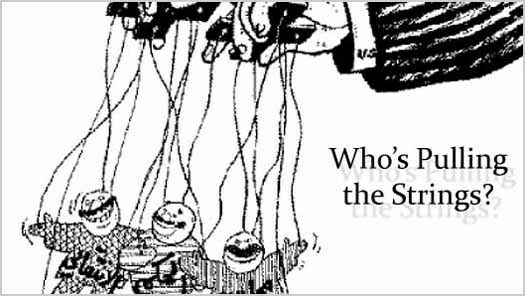 The “who” is a web of deception still being fully untangled….if we must. 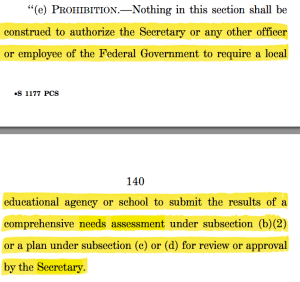 In What You Need to Know about the Every Child Achieves Act by the American Federation of Teachers (AFT), AFT says “the Bill Is Better than the Current Law, Race to the Top, and Waivers.”………..UPDATE Dec. 5 – the name has been changed to the Every Student Succeeds Act (ESSA still S.1177) and on Dec. 10, it was signed into law. This information is still what people need to know and consider…. “Better” is the standard that leadership has set for this nation? Build on “better” or just more of the same? I ask you to consider; is it the best we can do for the American public education system and the children in that system? Do we have no higher expectation of congress, after the eight year wait, than to make the law “better” than No Child Left Behind (NCLB)? 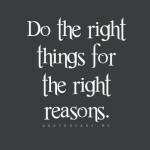 What about the right thing to do? 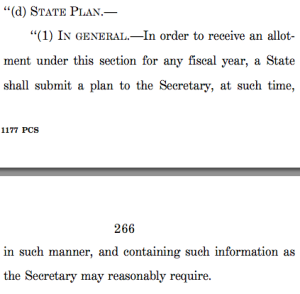 The Bill in question is The Every Child Achieves Act (S.1177, previously written as The Every Child College or Career Ready Act slanted for debate on July 7th). 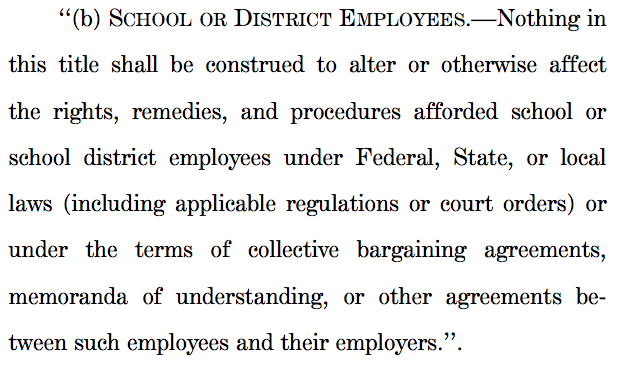 IT has many moving parts as does its House counterpart (both obviously written by the education industry representing themselves). 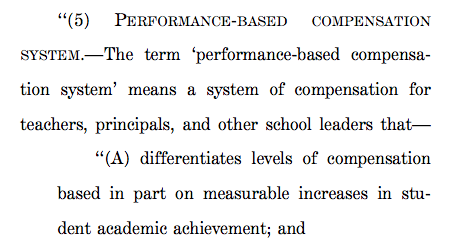 This continues the standards-based theory that led to a narrow curriculum…which is devastating TO poor kids. 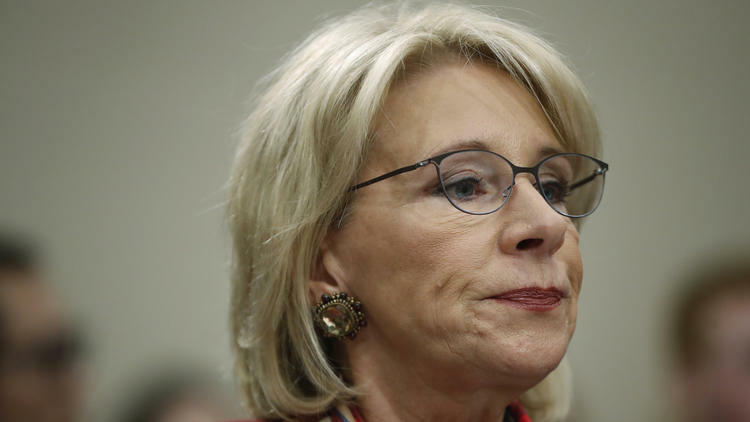 ….and does not require review by the U.S. Department of Education to assess whether or not the money granted does go towards meeting children’s real needs. 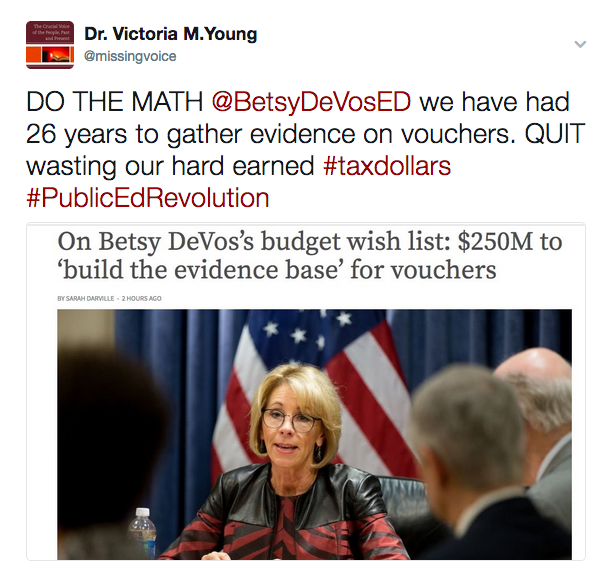 Keep in mind, WE must submit our plan for standards and testing but NOT our needs assessment….please, question this logic. The original intent in 1965 was to strengthen and improve educational quality and educational opportunity. The Every Child Achieves Act (S.1177) focuses on standards-based achievement, assessments of achievement, and charter expansion. The focus has not changed from what we had with No Child Left Behind. Have these things strengthened and improved educational quality and opportunity for all children? Smarter assessments? 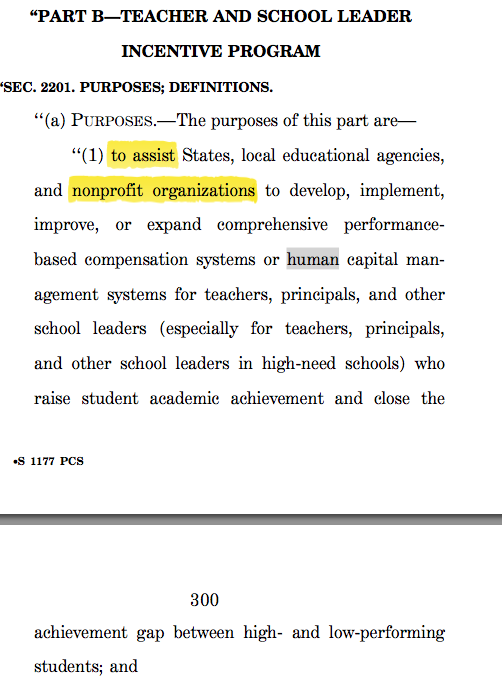 In document after document — like Marc Tucker’s “Tough Choices or Tough Times” and the Smart Options (how to spend our Recovery Act dollars) —standards and testing were always seen as a first step where the truly crucial first step is addressing children’s learning needs and opportunity-to-learn resources. In addition, keeping federal emphasis on testing perpetuates the fallacy that achievement test scores are valuable while the reality is they are an extremely poor and UNETHICAL way to judge the quality of education. 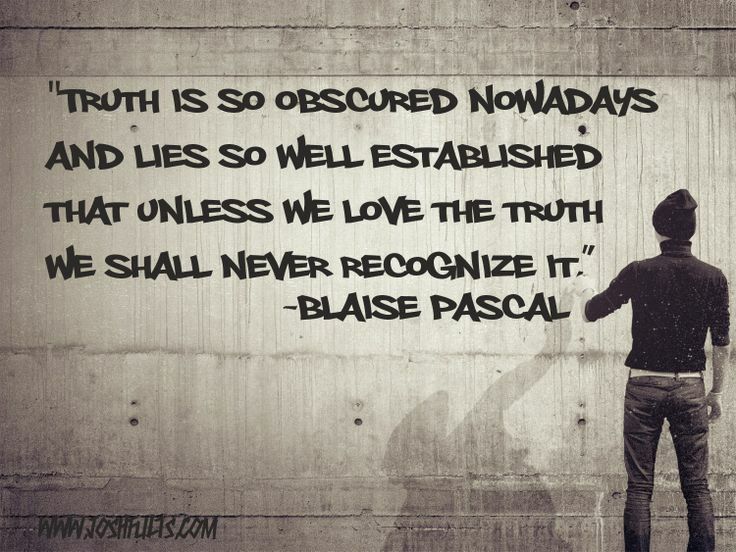 We need to do away with that deceptive idea. And the next crucial step would be to define opportunity to learn indicators (which we have but don’t use). AFT says the Every Child Achieves Act “maintains the current law’s annual testing requirements, but allows assessments to be delivered in the form of portfolios, projects or extended performance tests. 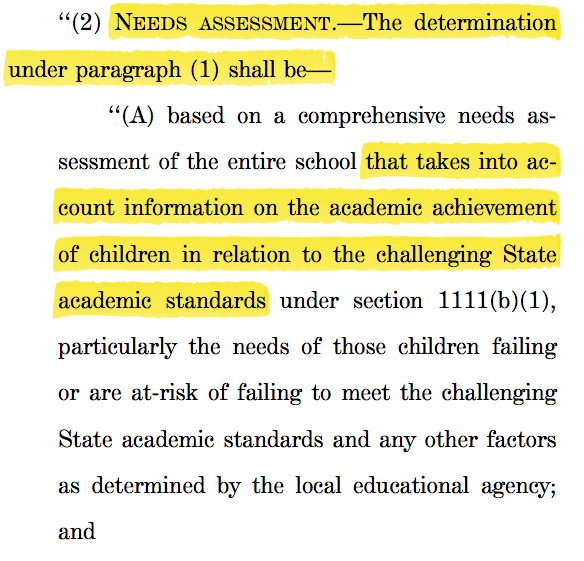 There is actually a BIG “IF” in the law… if states can demonstrate the alternative assessments are valid and reliable AS compared to the standards-based achievement tests. This means not only continuing with the achievement tests but also having the State resources and capability to validate what you are using, or farm it out to the testing industry. Consider this, students’ grades and the quality of their courses continue to be more reliable than standardized test scores when it comes to trying to predict success in higher education. “ALLOWS”??? (And the word was used in multiple places)??? If that doesn’t tell you that we have gone from an equal opportunity law to a federally controlled accountability law, I don’t know what does. 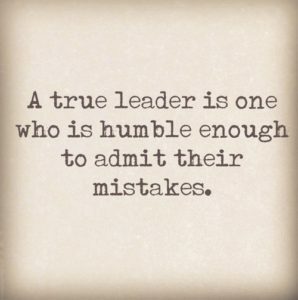 BUT, who was held accountable for the devastating effects of No Child Left Behind? 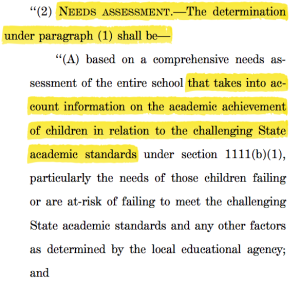 AFT says The Every Child Achieves Act “gives states authority to determine interventions for struggling schools.” …..
Sigh…What if you live in a state that lacks the capacity to improve schools? What if schools were identified for 8 and 9 years under NCLB as “In Needs of Improvement”? 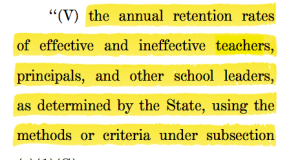 Then when the NCLB waivers changed terminology to “Focus” and “Priority” schools, what if those same schools went on the lists and your state still never did anything proven effective to help them improve? This true-to-life scenario is why the law existed to begin with. Why think this is a good thing for all states? Are all states offering equal access to quality education? And why do we continue to ignore what works when we could support it through law? The Every Child Achieves Act is NOT an equal opportunity or educational improvement law reflective of the original intent of ESEA. 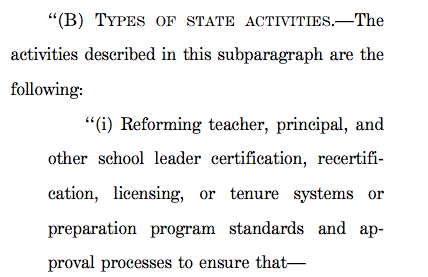 The Every Child Achieves Act requires teachers be labeled and that information goes on the State report card. 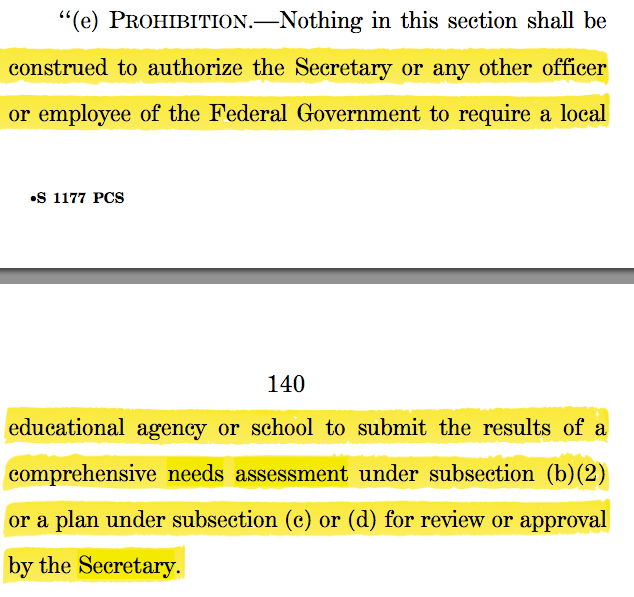 The federal government is by no means out of the teacher evaluation business. Did they read the law? 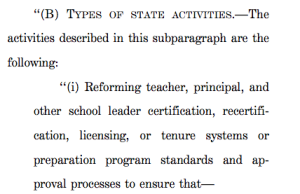 The Every Child Achieves Act will incentivize human resource development through the training of leadership to evaluate teachers calling it the Teacher and School Leader Incentive Program. They are looking at “human capital.” And it will be controlled through “State plans”. 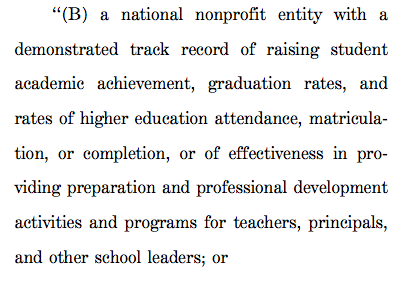 ….Look at all the components…..
Those in the education reform wars can probably name off a slew of “national non-profits” who stand to gain on this one. 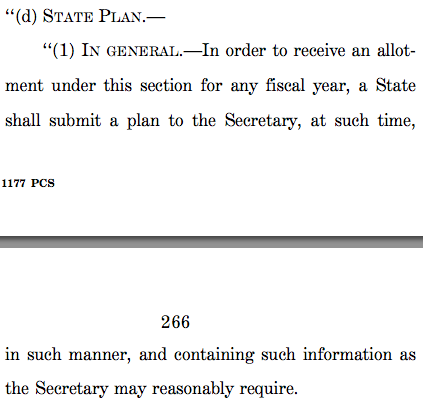 Remember, carefully selected things must meet federal approval. 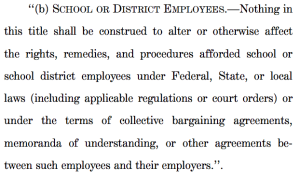 AFT says, The Every Child Achieves Act “expands collective bargaining protections to include both school improvement initiatives and teacher quality provisions.” WHERE??????? Do you call this expanded protection? 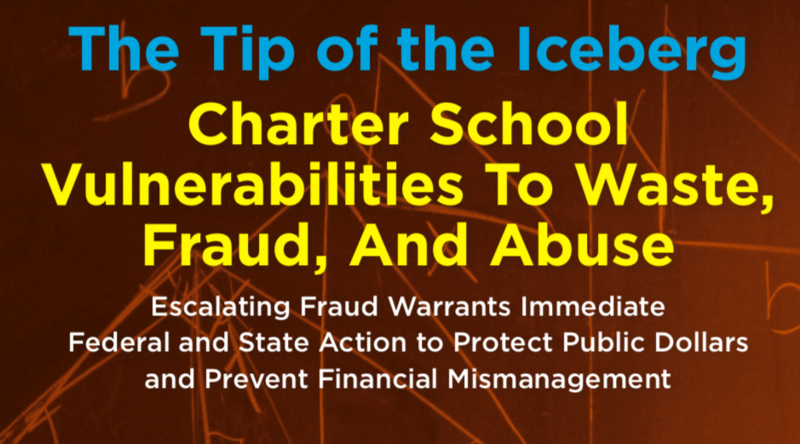 And what AFT doesn’t talk about that is in the bill are huge expansions for charter schools and other modes of privatization including the specifics of pre-schools……WOW!!!! Do we have a budding industry there! What’s missing from the bill? Plenty! Gone is the whole sense of community-led improvement that was embodied in the original Elementary and Secondary Education Act….How can anyone say we have nothing better to offer in replacing No Child Left Behind? Where’s the suggestion box? 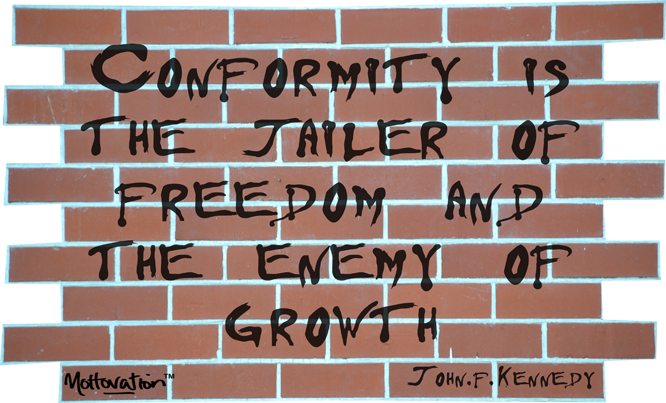 Or are those in power afraid of competing ideas? Tell Congress NO on this one. Better than NCLB isn’t good enough for American education.